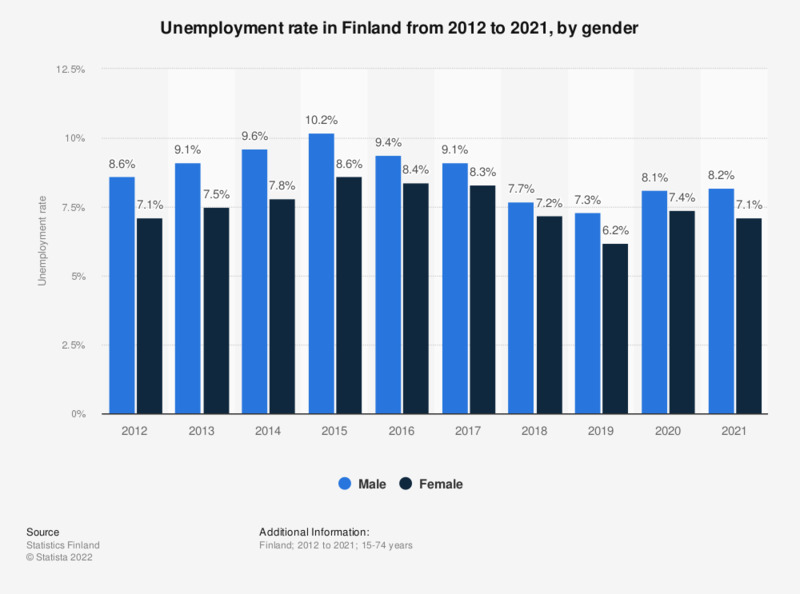 This statistic shows the annual average unemployment rate in Finland from 2007 to 2017, by gender. During the given time period, the lowest unemployment rate for males at 6.1 percent and females at 6.7 percent was recorded in 2008. In 2017, the unemployment rate for men was at 8.9 percent, and for women 8.4 percent.